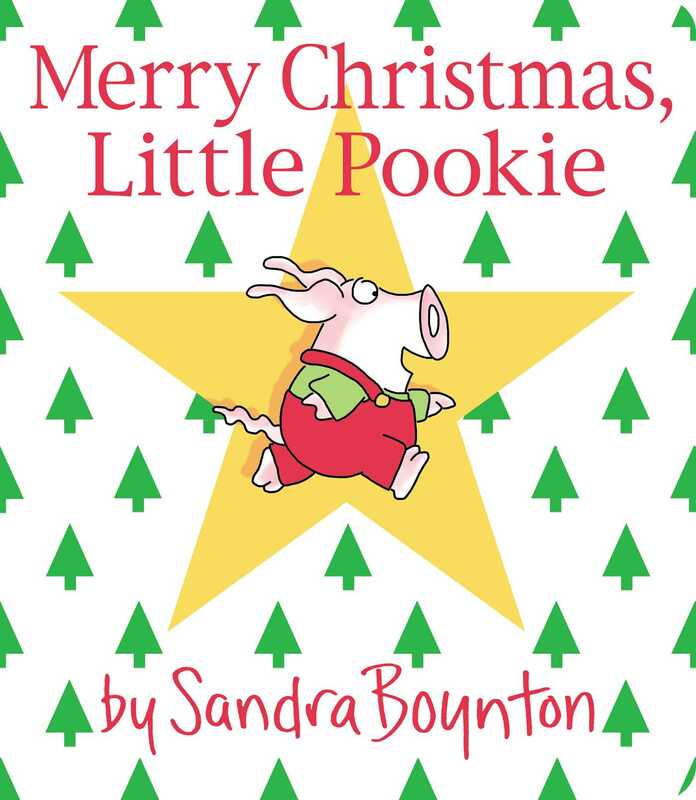 Pookie and Mom get ready to welcome Christmas in this gentle and captivating board book from the beloved and bestselling Sandra Boynton. It’s Christmas Eve! Join Mom and her little Pookie as they prepare for the merriest of holidays. Together they happily walk through the falling snow, bake Christmas cookies, decorate the house, and sing with friends and family—and at last settle down to sleep. Told and illustrated with Sandra Boynton’s celebrated charm and pizzazz, Merry Christmas, Little Pookie is sure to become a Christmas classic. It’s Christmas Eve, and the eponymous porcine character is out the door as soon as snowflakes start to fall. Snowsuit-clad in festive colors, Pookie and Pookie’s mother walk in the snow until “our noses are frozen.” Next, the two make paper garlands, turn on Christmas lights, and bake cookies. After family and friends arrive for a sing-along, it’s time to hang stockings and head to bed: “Tomorrow is Christmas,/ and when it is light,/ we will open our presents./ But for now, it’s good night.” Boynton’s big-snouted pig characters and easy-to-read lines again provide a warm and gently humored outing.